It isn’t surprising that I have Christmas carols running through my mind day and night. What’s surprising is the one that has played non-stop for the past two weeks. I Heard the Bells On Christmas Day by Henry Wadsworth Longfellow. Wanting to know more, I went in search of the story behind the song. What I found made me appreciate the song even more. In 1831, Longfellow married Mary Storer Potter. November 1835, Mary died during a miscarriage. July 1843, He married Frances (Fanny) Appleton. They had six children—five survived. April 1861, Confederate soldiers fired on Fort Sumter and the Civil War officially began. July 1861, Fanny Longfellow’s dress caught on fire. When Longfellow failed to put out the blaze with a rug, he tried to smother the flames with his own body. The next morning Fanny died. Longfellow’s wounds did not allow him to attend his wife’s funeral. He grew a beard later because of his inability to shave. March 1863, his son Charles left home to join the Union army. May 1863, Charles is sent back home due to typhoid fever. August 1863, Charles returns to his unit. November 1863, Charles is wounded when a bullet hits his left shoulder. April 1865 the Civil War ends. When reading the facts of Longfellow’s life, we are far removed from the pain. But when we take into account of losing two wives, a child, and the almost fatal injuries of his first-born, then we can begin to imagine his anguish in the world around him. The Civil War alone claimed an estimated 640,000 to 700,000 lives. And amid these horrible conditions Longfellow remained quiet. Some write he didn’t publish anything for two years. But as the bells pealed the news of “peace on earth, goodwill to men” Longfellow could not stay quiet. His ears heard one thing while his eyes saw another. Side by side stood the glaring contradictions. 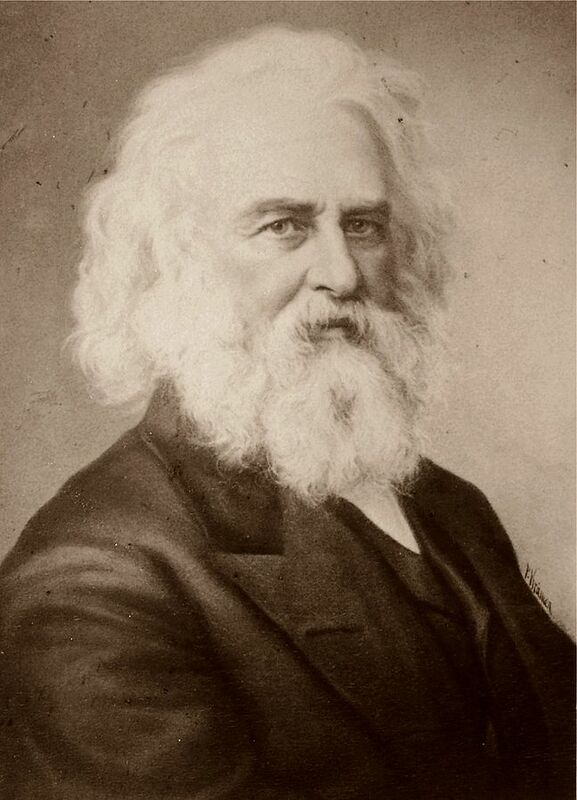 Longfellow wrote seven stanzas. Two spoke of the horrors of the war. Later when John Baptiste Calkin wrote the music, he dropped those two verses and rearranged the remaining five for the song we all know and love. Below is the last two stanzas of the original poem. It can’t be explained with human reasoning. It must be experienced. And that experience comes with knowing the Prince of Peace! I’m so glad I know him! How about you? *Most books and sites noted this song (poem) Public Domain. Over the past few years, this has become one of my favorite carols. It starts out so hopeless and ends on a note bringing the utmost hope! Great information, Gail! I didn’t know all that about Longfellow. Thanks, Sandy. Exactly! From hopeless to “the utmost hope.” I like that comment.